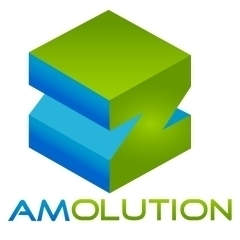 Zamolution, a digital marketing agency in Philadelphia, provide strategic solutions to companies looking to increase the online digital footprint of its products and services. In only three years, the firm as acquired an impressive list of clients, including a "Blanket with Sleeves" company. Philadelphia-based digital marketing agency, Zamolution, delivers innovative, results-oriented solutions, including: social media, search engine optimization (SEO), online reputation management, niche website development and public relations. Between the company's intellectual horsepower, complemented its fierce competiiveness, Zamolution provides an online share of voice to topics, brands, services and people who are deserving. Zamolution's founder, Jim Zamichieli, possesses a unique pedigree of marketing and technology experience. A former C-level exec, Jim cut his teath at companies such as: inVentiv Health and General Electric; spending the majority of his career at the world's third largest advertising group, Publicis. Mr. Zamichieli has an impressive list of compaines for which he helped, including: Jenny Craig, Pfizer, SAP, Merck, Kodak, Blue Cross & Blue Shield. Zamolution was featured in a VatorNews article: "Today's Entrepreneur: Jim Zamichieli"